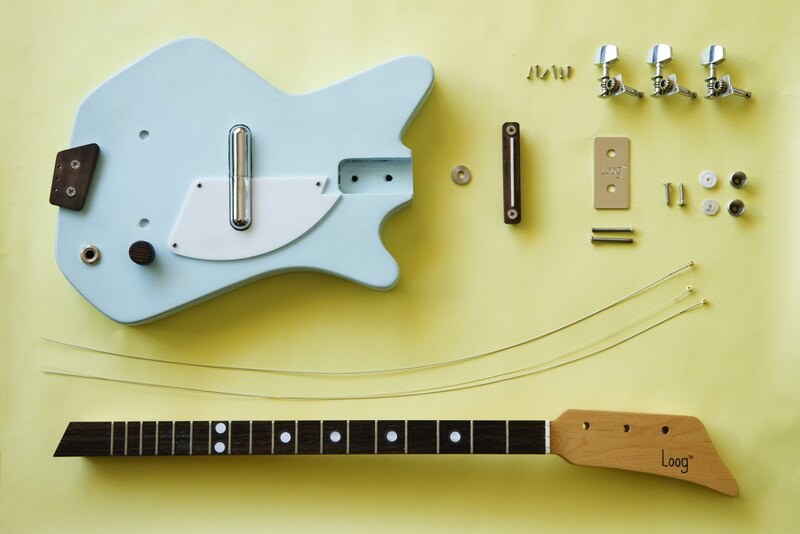 That’s how I came up with Loog Guitars: a line of 3-string kits that kids can build with their parents and, in that way, connect with their instrument at a deeper level. The 3 strings still let kids and beginners play chords and, therefore, any song. But, with fewer things to learn, it's easier to play and to make sense of what they are playing. I took this idea to Kickstarter and that's how Loog Guitars, which is now a 4 year old business, was born. Later, I pushed my luck and ran a second Kickstarter campaign to make an electric version of the Loog Guitar. Running a Kickstarter campaign, especially one for physical products, is really no cakewalk and can be pretty nerve-wracking. You have to keep on pushing without coming off as spammy or annoying, while keeping an eye on the still-ticking clock urging you closer toward the goal. You feel like you're fighting an impossible fight, until you reach your goal and everything's okay with the world again. A complete set of Loog Guitars (an Electric Loog and an Acoustic Loog) plus Loog accessories for both: stands, backpacks, straps and tuners. To enter, all you have to do is send an email to gadgets@boingboing.net by Nov. 26th, 2015! We'll announce winners shortly thereafter. There will only be three winners, so here's a little something for everyone else: a 20% off discount code, exclusive for BoingBoing readers (shhh! ): THXBOINGBOINGERS. We are still a tiny (not small: tiny) company, but strong in our quest for something much bigger than us: helping kids learn how to play music in a fun, engaging way. Bonding through music used to be a huge family activity. Today, it is increasingly rare. We want to change that and make the world a more musical place. But that's just the driving energy behind Loog Guitars; the purpose of this post is just to say thank you.